A first-of-its-kind diagnostic team helped Michele find the right treatment for her. Diagnosed more than 30 years ago while in the hospital with an unrelated ailment. Exercise, stress and air pollution. Need for an improved quality of life and not feeling tired after moderate exercise. During a hiking trip to Peru. November 2009 with catheter ablation. Enjoying activities that she hasn't been able to do for 20 years. For more than 30 years, Michele Straube lived with atrial fibrillation. And with slow, dreadful inevitability, the condition caught up with her, zapping her energy and taking her breath away. There were times when this active, outdoorsy, career woman would struggle for her next step. Yet, during the summer of 2011, Michele plans a bold adventure, which she calls Into the Heart of the Alps for Atrial Fibrillation Awareness. She and her husband, Bob, will begin hiking the Via Alpina trail in Monaco. Then, every summer she'll return to the Alps to hike more of the Via Alpina until she reaches the end in Slovenia — 1500 miles later — to raise awareness about afib. The seeds of this inspiring journey began more than 30 years ago when Michele was in the hospital for an unrelated condition. During the visit, her doctor asked if she ever felt faint. "There are times I'd feel dizzy, and I used to joke that I could faint on command," Michele remembers. After some tests, her doctor diagnosed afib. Her profession as an attorney, mediator and environmental consultant kept her on the go, and her family moved several times. She changed doctors with each move, never finding time to fully address her afib. Throughout the years, doctors recommended AF medications such as quinidine and digoxin. Despite being told that she wasn't a candidate for surgical interventions, Michele hoped for another, non-drug, solution. way to Machu Picchu, Peru. Even with the diagnosis of afib, she tried to continue an active life, and eventually her family moved to Utah. However, afib slowed her down. Michele noticed her ability to exercise began to diminish and more often she found herself laboring to finish a walk or out of breath at the top of a flight of stairs. "When I would exercise with friends, I'd ask them a question at the bottom of the hill, so they'd do all the talking," Michele says. "I'd be so out of breath that I couldn't talk." Before afib took its toll, she participated in half marathons, but she had to stop. The hills and exertion became too much. Despite her condition, she and her family planned a trip to Machu Picchu, Peru, during the summer of 2009. Even though she trained beforehand, she felt dizzy throughout the vacation. What should have been an enjoyable family adventure turned into a daily struggle to put one foot in front of the other. "At the top of a 15,000-foot pass, I got really mad," Michele says. "I decided then I'm going to look for something to make my quality of life better." Once Michele decided to change her life, she turned her professional focus and attention to detail into researching her condition. 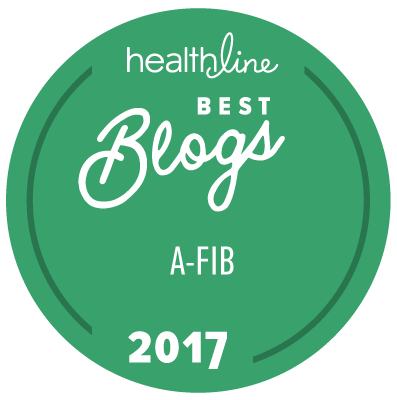 "I did a lot of learning on StopAfib.org," Michele says. "I was learning more and more. I'd check the forum more than once a day, paying attention to what people were saying." S. Simon & J.-P. Repiquet / Via Alpina. Coincidentally, her research led her to Dr. Nassir Marrouche, an electrophysiologist in her hometown of Salt Lake City. Dr. Marrouche is the executive director of the Comprehensive Arrhythmia Research and Management (CARMA) Center at the University of Utah. The CARMA team is composed of doctors, nurses, radiologists, imaging experts, geneticists, physicists and professionals from many other disciplines. The team's approach allows them to examine a patient's heart on a cellular level using MRI to identify the amount of fibrosis in the atrium and determine the potential for success of various treatment options. Learn more about this approach at Personalized Atrial Fibrillation Treatment Using New Method to "Stage" AF. Michele's MRI showed that ablation had a high chance of successfully blocking the irregular heart rhythm and allowing her to regain her active life. Since November 13, 2009, the day of her procedure, she has been in normal sinus rhythm (NSR). Aside from her aspirin-a-day regimen, she's free of medication and has steadily reclaimed her activity level. In addition to hiking, she's running some and participating in adult ballet. "Now, I'm able to walk uphill and talk with friends," says the 56-year-old mother of two. "I have my youth back. I haven't ridden a bicycle in 20 years, and I can ride now."